Here’s a different take on the rain barrel…it looks a little like a pregnant belly but still better looking than a big plain barrel. ‘A Drop of Water’ is a rain barrel that makes saving water really easy by providing a watering can that is automatically filled when it rains. This way, the user doesn’t have to fill the can with our precious tap water, but uses ‘free’ rainwater instead to water the garden. Overlooking the odd hipster-y naked people on the website, I really like these Woolly Pocket hanging gardens, which come in all sizes. I actually have a thing right now for vertical gardens. I recently read an interesting blog where she talks about a vertical vegatable garden installed on the side of a food bank building in LA. MOSS SUND Architects and Fig Forty have created the fantastic CISTA Rainwater Harvesting System. 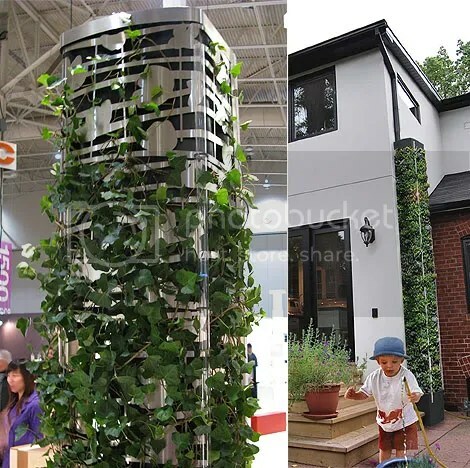 The harvesting system provides 100 gallons of rainwater storage within an 8-foot vertical planted frame. Below right is the concept featured at the 2009 Interior Design Show in Toronto…..sure beats the typical barrel collection method! 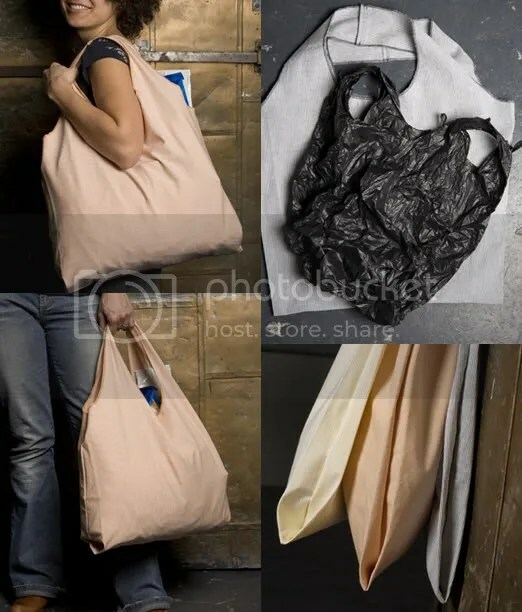 I’m completely smitten with Ramon Middelkoop leather bag that was designed to look like a paper bag. It can be purchased through goodforall …. which unfortunantly is not in Eenglish. My garden is no where near my hose, so I thought something like this Rain Barrel from Smith and Hawken would be perfect to set down by the garden and also save on water at the same time. 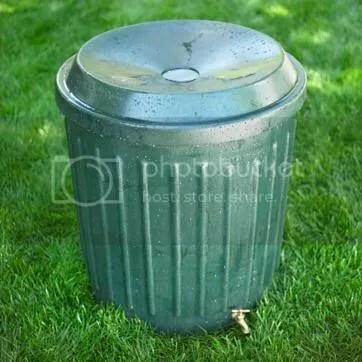 Crafted from high-density polypropylene, this barrel catches and keeps 60 gallons of rain water close at hand for watering chores. 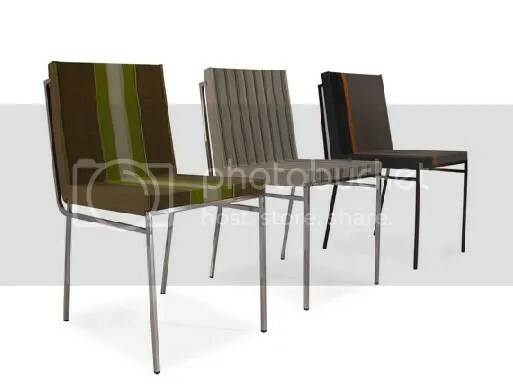 This line of furniture from Yothaka is made from pineapple paper, crafted from pineapple leaf fibers. Oh this is brilliantly simple…. The AQUS System is an innovative water conservation device. The AQUS system capters water from the sink and filters and disinfects it to be reused for toilet flushing. Tucked inside the vanity below the sink, the AQUS reservoir works in conjunction with standard lavatory pipes and holds up to 5.5 gallons of water that is reused from the sink. 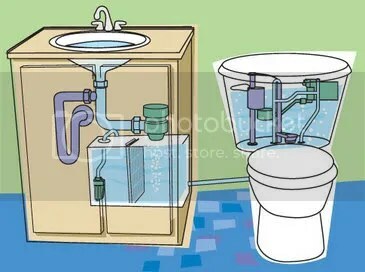 A single hose connects the reservoir inside the vanity to the toilet, eliminating the unnecessary use of fresh water. 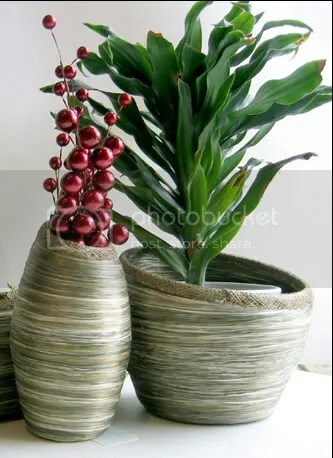 I just saw these great planters over at Apartmenttherapy. 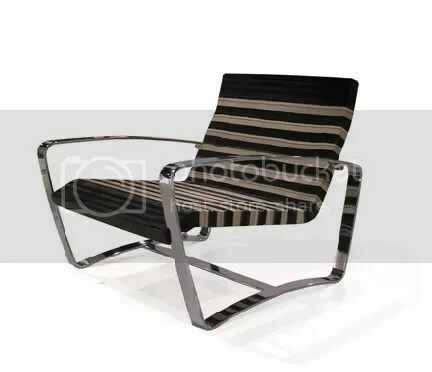 They are made from the renewable fibers of the abaca plant. I love this countertop. They are 100-percent recycled aluminum tiles from Eleek, and they are rather expensive, starting at $95 a square foot. So I’ll just post them on here so I can come back from time to time to drool. The Finnish family business, Lasistudio reclaims glass bottles and jars without crushing them in order to create new objects. Their drinking glasses are made from reclaimed brown beer bottles. I saw this concept design for power conservation and loved the design of it. Since everyone is talking these days about how you should turn off everything to avoid “phantom” energy use, this would be wonderful if you could purchase it. 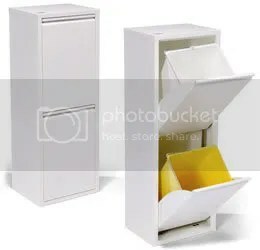 This adapter displays useless energy consumption due to standby mode and automatically turns off office equipment that are left on unnecessarily. Each module corresponds to a device and monitors its power supply independently. If a device is in standy mode a layer of light glows, signaling for the user to turn it off. If the user doesn’t respond, it will automatically turn it off after three minutes. 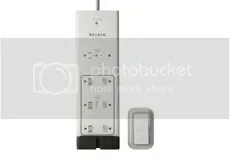 Until they come out with this, we’ll have to make due with Belkins Conserve Surge Protector. Which actually isn’t out till this summer, but least it has a release date, and it’s not near as design blog worthy, but it does come with a remote for what that’s worth. I’ve always thought composting was intriguing…the thought that you can take gross old food and turn it into something useful. This is a wonderful size…and it says it has a carbon filter to quench any odors?? I need to recycle more. Right now I only do my cans (which I get paid for) and I know I should do so much more. I really like the simplicity of this recycle center but spending $169 is going to take cashing in a lot of cans. For those of you that aren’t as poor as me….. I just ordered samples of these to see better how they work. Sounds like a good idea though. Ecoenvelopes I love free samples…. 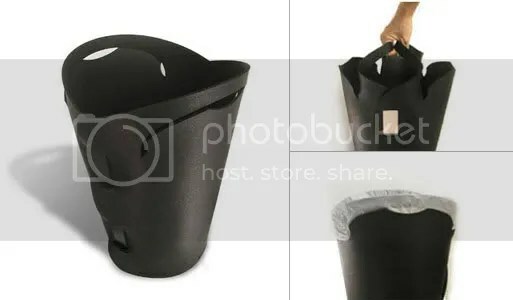 This clever waste container is accommodates standard grocery bags or 8 gallon liners. Integral handle design makes for easy carrying. Made from reclaimed automobile tire rubber.